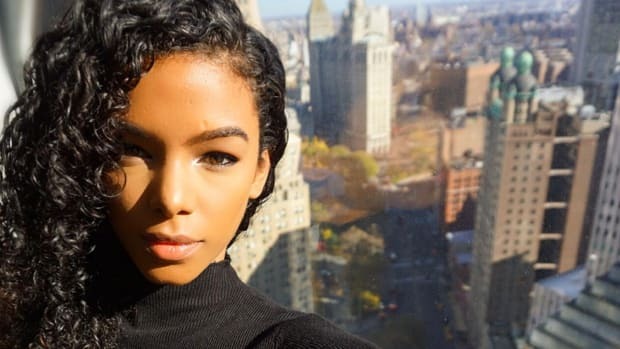 Beauty vlogging is turning into quite the lucrative industry, so we asked a few of YouTube's biggest gurus to tell us how they rose to the top. One of the fastest-growing and, to me, most fascinating segments of the online entrepreneurial world is beauty vlogging. Makeup tutorials are among the most-viewed videos on YouTube (Fashionista&apos;s own post on the best ones out there is consistently one of our top-read stories). And the people who make them -- most of whom are under the age of 25, and often under 18 -- have parlayed their success into lucrative careers. Michelle Phan, a pioneer in the beauty vlogging world, even recently popped up in her own Dr. Pepper commercial. Despite this type of mainstream recognition, Phan tells us that, when she first started doing makeup tutorials as a hobby in college, she never thought it would lead to a full-fledged career. 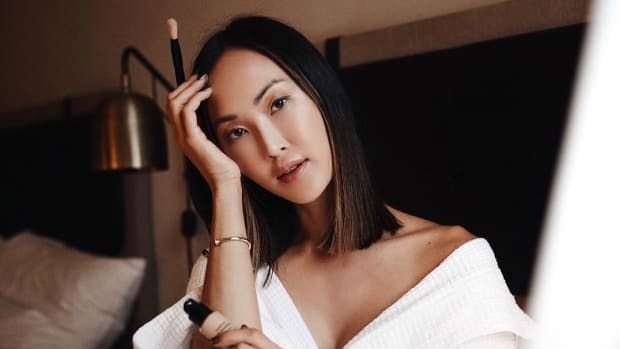 But her success has spawned a new generation of talent that is rapidly catching up to Phan&apos;s subscriber and page view numbers (though Phan, an undeniable talent when it comes to cosmetics, is still enormously popular). Take Bethany Mota, a.k.a. Macbarbie07, who got into the game at the young age of 13 (she is now 18). She stumbled upon YouTube&apos;s beauty community and was instantly hooked. "I thought, &apos;I finally have something to make videos about!&apos;" she says. "So I created an account and a couple of weeks later, uploaded my very first video." Well, with a little help from her mom. "I remember begging her to buy me a few items from M.A.C," Mota recalls. "She finally gave in, and when they arrived in the mail, I couldn&apos;t stop trying them all on. So I decided to film a haul video." One of the keys to YouTube success is consistency, and building a community through frequent video uploads. Both Phan and Mota say they decide on their next topic based on requests from viewers, rather than what types of clips tend to get the most clicks. That way, the fans are getting what they want. At the same time, it&apos;s hard to ignore the fact that certain types of content do better than others. For Phan, that means a focus on timely events, like Halloween, or videos that feature her boyfriend. Mota&apos;s viewers also like to get personal, gravitating towards cilps that document her "routines," as well as room tours. We also chatted with Ingrid Nilsen, a.k.a. MissGlamorazzi, whose subscribers are fans of "Get Ready with Me," another routine video. Overall, the aesthetic quality of the video itself doesn&apos;t necessarily have anything to do with its success; rather, it&apos;s the subject matter that draws people in. "I don&apos;t want people to think they need a perfect amazing-lighting video," says Phan. "If it&apos;s authentic and has a great message, people will watch." It may seem easy, but when there are hundreds of these "gurus" out there -- with more popping up every day -- attracted to what appears to be such a cushy and fun career, it becomes increasingly difficult to stand out. When asked to identify the secrets of their success, none of the vloggers revealed anything all that shocking about their pursuit of subscribers and video views. Rather, everyone we spoke with had the same message: If you want to stand out in the constantly growing field (a search for "beauty" on the platform yields over one million channels), be original. "I think having a unique personality and not trying to be anyone else is crucial," explains Nilsen. "If you aren&apos;t original, people are less likely to be interested in what it is that you are saying." Mota explains her strategy thusly: "I&apos;m always looking for ways that I can improve what I do based on what I have done in the past. I think this is a good mindset to have because it allows my content to get better with time. I don&apos;t really focus on trying to stand out. I think that as long as you be yourself, that will happen naturally." Phan, too, stresses the importance of staying true to who you are. "I would never want a girl to be the next Michelle Phan," she says. "I don&apos;t look at what other people are doing. Everyone has their own voice, their own mark. My style has always been the same: simple, clean, professional videos. Maybe thats why it resonates. They&apos;re easy to learn, anyone can do it." Of course, monetization is something every blogger thinks about -- and gets approached about -- at a certain point. Each person mentioned in our list has an email address on her page specifically for business inquiries (usually next to the name of a Bible passage). While quiet about how they pursued monetization and dollar amounts, each vlogger we spoke with had at least one or two partnerships going at the time, and said they were very selective when deciding to partner with a brand. Phan started out making 50 cents a day through YouTube&apos;s partners program. "I wasn&apos;t trying to become rich off of YouTube," she says. "But the more videos you create, the bigger the library and the more you can start seeing the numbers grow." Once she was making enough money, she decided to quit her job to focus on making videos. It will certainly be interesting to see what the future holds for for these vloggers, if only because they&apos;re so successful -- famous, even -- at such a young age. Nilsen plans to expand into videos about cooking and DIY. "I will still do the content I am known for, but am definitely interested in growing in other areas and helping even more people." Further down the line, she has even bigger ambitions. "I would love to have an all-encompassing lifestyle brand," she says. "If you were to go to a store like Target or WalMart, I would have something in every department: moisturizer in the skincare aisle, granola cookies in the snack aisle, workout gear in the clothing department! I think teen girls are exposed to a lot of distractions and I want to make it cool to be healthy." Phan also plans to expand into videos that are less focused on beauty. "I want to start giving more life advice -- how to navigate the online and offline world," she says. She&apos;ll do this through her own illustrations and animations (which she originally went to school for). "I see myself going more towards the storytelling element," she explains. "My brand is going to evolve. I can&apos;t do the same thing every day, it gets boring." Intrigued by the world of beauty vlogging? Click through to the next page to learn about five gurus who, according to Google, had the fastest-growing channels of 2013, making them the ones to watch this year. You may end up spending hours watching their weirdly engrossing videos, so don&apos;t say we didn&apos;t warn you. Video Topics: Haul videos, "Does this thing really work?" Three of the biggest names in the niche beauty space discuss green living, their strategies and success.